A couple of weeks ago, I posted that I had designed a logo for an upcoming eSports organization which showed a lot of promise. Specially in the StarCraft 2 scene which I'm very fond of. (As if you didn't know that by now... heh). I took on the project with all its challenges. A four day deadline, a team with big aspirations that seeked equally big exposure. Like I wrote in my post about the work specifically, I tried to nail down a strong concept, with clear ideas and a look that could fit right into the scene. Fortunately, the result was met positively by the client and I was ready to see my creation out there in the world. Problem is, things don't always go as you expect them to. There are so many factors involved into starting something of your own and a huge amount of them come directly from you as a creator. I won't go into details as to what happened. There are already detailed articles about it. 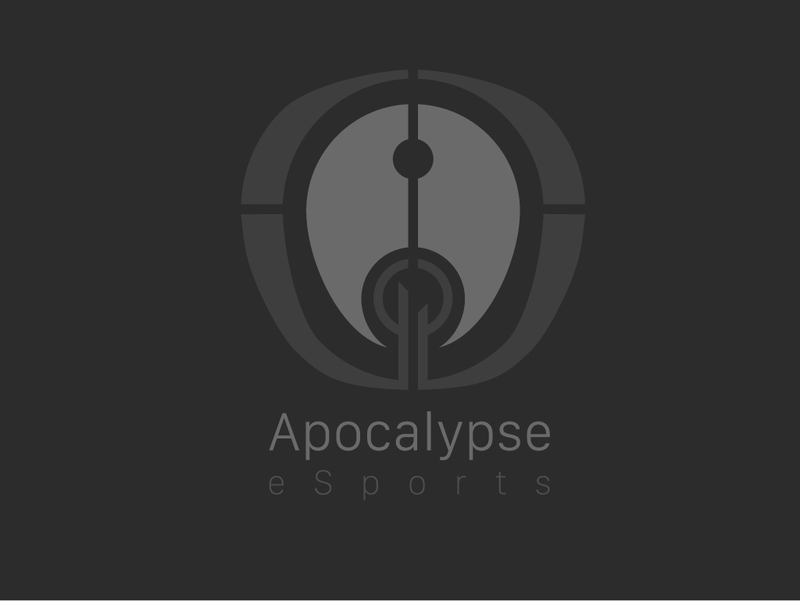 Long story short, Apocalypse eSports was dissolved this past weekend. At first, I was shocked to read the news. The circumstances were sad. Grim, even. Then it hit me: "There goes another logo that will go in the drawer." This is a feeling that is very familiar to me; to many designers, so I've learned to cope with it. Withdraw the daydreaming and refocus it on other projects. Other "promises". Then comes the cold part: "Who's gonna pay me now?" The client was introduced to me by another client and friend which I trusted (and continue to trust). I was asked to wave the 50% upfront in order because of budget vs time frame issues and so I did. It was hard to get myself to look for assistance from my friend. "What happens now?" Was my question. I have learned the hard way that getting paid for my work is very important. It's something that I prioritize which I didn't before. I can say I've managed to develop a strong work ethic and decent skills. Pay is only fair. Everything worked out fine and I was assured I was gonna get paid. Don't know if it was the most cunning thing to do but it felt right. After all, he wasn't responsible for what the other person had done and still had the decency to pick up the mess. As a Starcraft player, I was also hurt. I know what it is to work really hard and still not get to where you want to be. I know first hand how much this project meant to other people in the team, how much it meant to me. But in the end you just have to pick yourself up and carry on. It's the only way industries, endeavours, projects or anything you want to create will ever get somewhere. What's life without a little bit of blood, sweat and tears? For this reason I decided to not take the project down but rather to just take the blow as it came, move on and learn from this. I might not be getting into work without asking for a 50% upfront. At least for a while. But I will continue to work with gamers, streamers like myself, passionate people. 'Cause most of what I've done has been an amazing and positive experience. This also was. Just not in the way I expected.